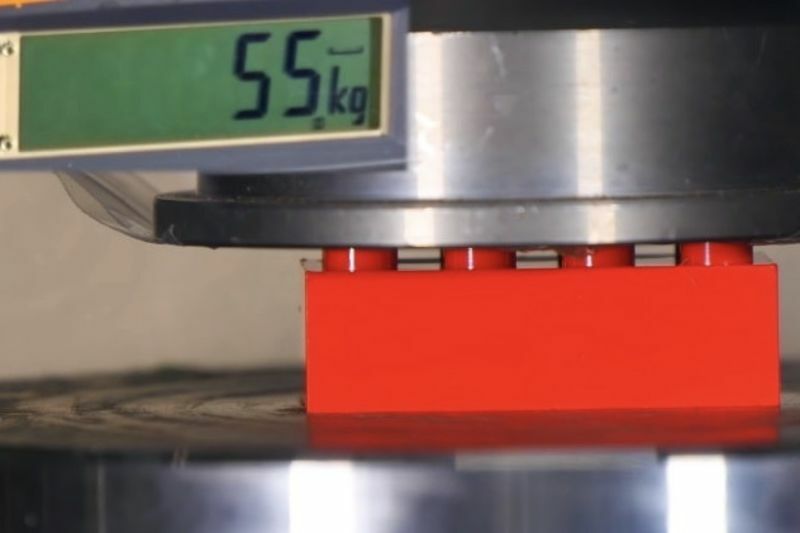 The guys at YouTube's Hydraulic Press Channel, decided to take LEGO bricks and put them to the ultimate test by taking a fake, cheap LEGO block and a real LEGO block to see how they hold up to the weight of their press. Most LEGO pieces are made from a high-quality plastic called ABS. It provides the unique connective grip, high gloss, and the colour stability that LEGO bricks are known for. In the video, below, the Hydraulic Press Channel puts it to the test, Real vs Fake LEGO bricks: which one is stronger? They put both original and knock-off LEGO bricks into their 40-ton press and crush them to find out! They use their 5-ton load cell to measure the exact force that the bricks can take. Watch the video to see what happens... No wonder these damn LEGO blocks hurt your feet so bad when you step on it by accident.